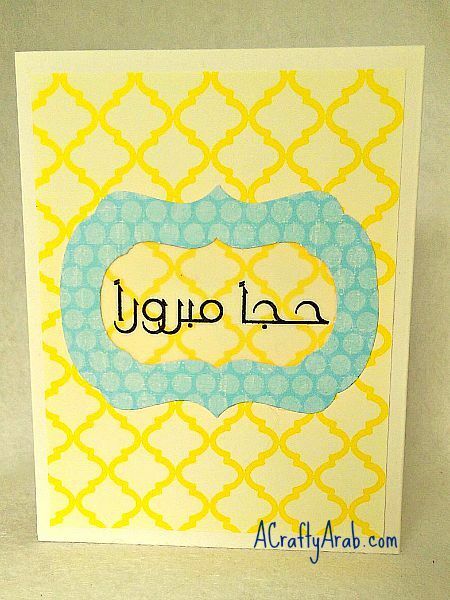 Send your loved one who just returned from preforming hajj (pilgrimage) to Mecca this arabesque yellow and blue card. The Arabic words say Hajj Mabroor, which means May Your Hajj Be Accepted. 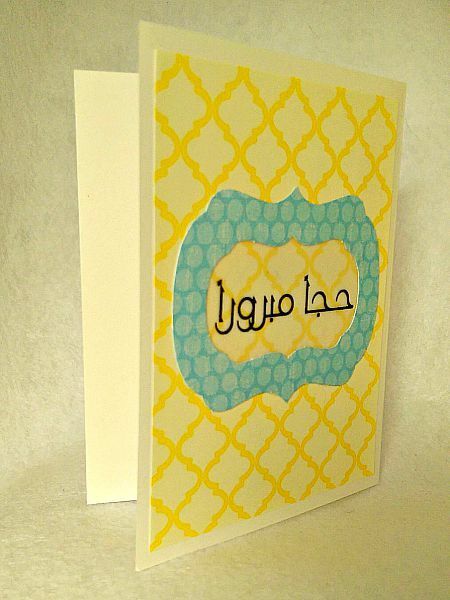 The yellow quatrefoil background paper has a frame added with the words on vellum. 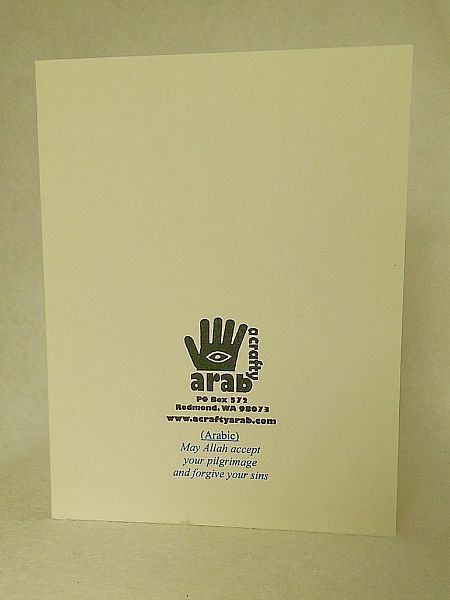 This unisex card can be for a male or woman who just returned from performing one of the 5 pillars of Islam. 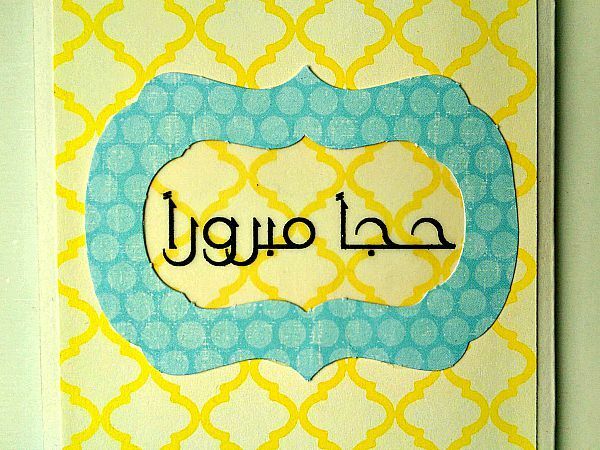 Because this is an Arabic card, it opens left to right.